Eddie Dawkins (above) edges teammate Ethan Mitchell to claim the sprint title, while Southland’s Corbin Strong claims the final sprint to win the omnium honours on the second day of the Vantage Elite & U19 rack Cycling National Championships in Cambridge. 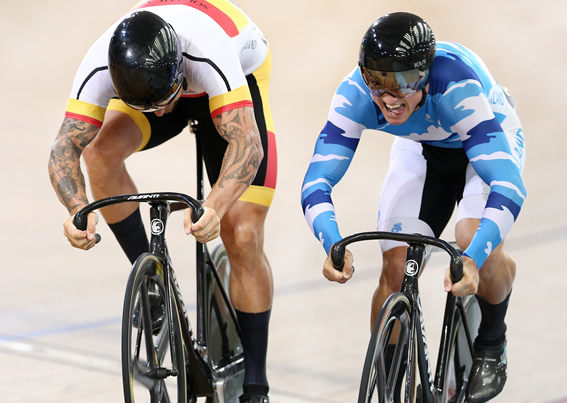 Strong, a member of the champion team pursuit at the junior world track championships last year and the SIT Southern Performance Hub, won the double points final sprint to cement the 30km points race win at the Avantidrome. 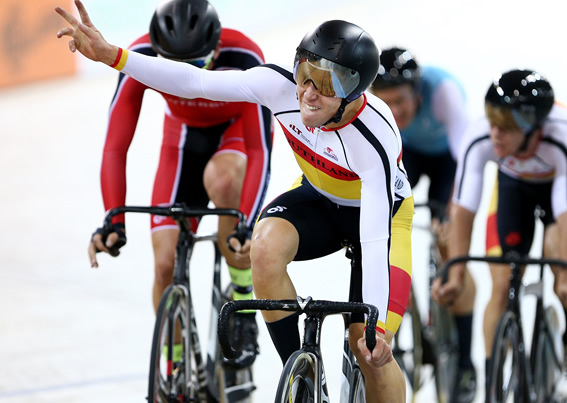 Southern Hub) showed her outstanding versatility in winning the keirin final as well as finishing third in both the individual pursuit and points race. In Paracycling action, the 2016 world champion Emma Foy (Northland) teamed with pilot Hannah van Kampen to win the Blind/Visually Impaired 3000m tandem final, with Auckland’s Byron Raubenheimer and Sarah Ellington winners of the C1-5 individual pursuit finals.